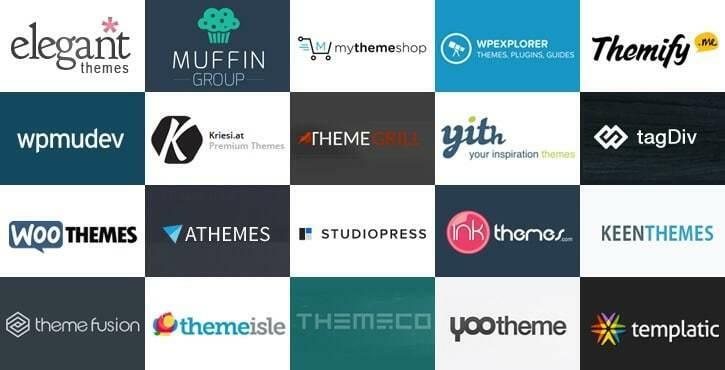 A list of 100 WordPress theme shops currently in the market, and their rank relative to one another. In other words, you can see who’s on top of the game, who’s growing, who’s declining. The WordPress theme shop directory 2017 edition. For the first time results of the WordPress survey are published on WordPress news. Check out how WordPress is being used across the world. Respondents from nearly 50 countries. There's 11 great tools in this article. 5 of the best and 6 honorable mentions. You will immediately notice that 5 of the 11 are JS related. JS is so hot right now, everyone is scrambling to learn it. Make your life easier and check these out. Also includes some apps to help you track a project's development via automated screenshots and a pretty nifty keyframe convertor. What happened to your favorite programming language in 2017? Java's plot twists kept people riveted over 2017. Red Hat and IBM claimed Oracle was "tearing them apart" before version 9 was released. This post is a beast. Great insight into keeping up with digital transformation in 2018. Dives into a study from 450 digital transformation gurus to deliver the best insights. Read all about the expected developments in cloud computing platforms, DevOps and agile development approaches, and emerging technologies like non-relational databases, big data analytics, AI, virtual reality (VR), augmented reality (AR), and IoT devices. Ready for some workplace jealousy? Office Snapshots runs through the best 25 offices from all over the world. From the rustic charm at Fiverr® to Etsy's aggressive craftiness. Uber's is definitely Uber with neon lights like Vegas. The MENACE engine teaches matchboxes to play naughts and crosses. I like how they call their AI engine MENACE. I'm a little concerned about what those matchboxes will learn to do next. Google goes to sleep and wakes up in an Italian neo-realist film. They lose their environmentally friendly transportation at a rate of up to 250 per week. The real story here is in the firm tasked with chasing down the GPS equipped bikes. ARTGASM uses the Lioness’s biofeedback sensors to create unique art pieces based on the user’s orgasms.How these will be turned into art is not immediately clear. At this stage, the only video preview displayed pulsating circles taken from tracked app orgasms. Ths Mac Photo Editor adapts to your style and skill Level. Pretty soon it will realize it doesn't need you at all. Manipulated photos are a standard tool for anyone with a camera phone. Luminar is a tool designed to make manipulations even easier. A simple UI that claims to allow professional-looking results at the first attempt. Promises No Learning Curve. This is genuinely exciting. No more expensive hardware. You can use this cloud-based service to play high-quality games on an old failing computer. Nvidia will have over 150 popular games at launch including: PLAYERUNKNOWN’S BATTLEGROUNDS and Tom Clancy’s Rainbow Six Siege. No updates on pricing but still seems cheaper than regular hardware updates.